Through the technology, the provider organization also has collected 635 online reviews for its website. 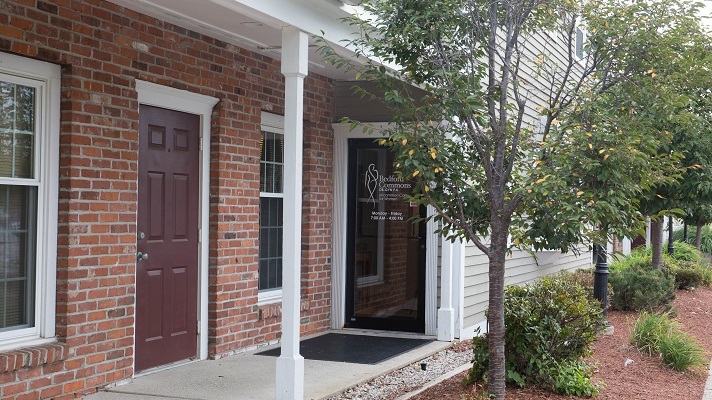 Bedford Commons OB-GYN in Bedford, New Hampshire, had been reminding patients of their office visits by giving them a paper appointment reminder card and using an automated telephone service to call them 24 hours ahead of time. For annual preventative visits, staff would run a report, print labels and affix them to postcards that would then be mailed to the patient to remind them to call the office to set up a visit. In an era when technology is constantly progressing, Bedford Commons OB-GYN realized that it was not keeping up. Many of its patients did not check their paper mail regularly, and when patients were getting the postcard, it was at night when the office was closed. “As a result, we were seeing a decline in patients contacting our office to schedule their wellness exams,” said Christina Haag, APRN, practice administrator and women’s health nurse practitioner at Bedford Commons OB-GYN. Bedford Commons OB-GYN decided to move to new, more sophisticated technology, from patient communications and patient engagement technology vendor Solutionreach, to better send appointment notifications, conduct patient surveys and foster an environment where it could obtain more online reviews. There are many patient communications and patient engagement technology vendors on the market today. These vendors include Casetabs, Docent Health, GE Healthcare, mPulse Mobile, Vaporstream, Weave and West. The Solutionreach technology works by providing Bedford Commons OB-GYN staff with a more tech-savvy way to reach patients. After a patient is seen in the office, staff use the technology to send them a survey to let Bedford Commons know how the visit went. This is exceptionally useful to Bedford Commons in helping it continue to improve patient care. As can be the case in many physician offices, Bedford Commons sometimes has a difficult time reaching a patient with important clinical information over the phone. Most of Bedford Commons’ staff uses the communications and engagement platform. The front office patient care representatives use it to recall patients for appointments, remind patients to bring their insurance cards or fill out paperwork online, let patients know if something has been changed about their appointment (like the provider is out sick), and for many other things, she said. Bedford Commons OB-GYN has reduced patient no-shows by 60 percent. Haag believes this is entirely due to the text message reminders. "Having reviews on our website from patients and updated daily provides a wonderful platform to attract new patients." In her opinion, the one-hour reminder is the one that makes all the difference. For patients who do not use smartphones, the same reminder system occurs via email or voice calls. In the beginning, staff were concerned that they may irritate patients with the number of reminders. But they have received positive feedback. If someone does have a concern about the reminder frequency, staff have the ability to customize it within the platform for that specific patient. Bedford Commons OB-GYN also has collected 635 online reviews. After a patient’s visit, the patient is sent an email with a survey. The provider organization has a fairly high response rate. “Solutionreach provides a microsite that we can link to our website so that the comments in the survey are automatically updated on our web page daily,” Haag said. If someone had a poor experience, the platform sends out an alert email to office managers. This allows them to follow up with the patient in a timely manner.